Released for free on iTunes late last month, Surf is the first album by the genre-bending musical collective The Social Experiment. Comprised of top-billed trumpeter Donnie Trumpet (aka Nico Segal), Chance the Rapper, and bandmates Peter Cottontale, Greg Landfair Jr., and Nate Fox, The Social Experiment started out as the touring band for Chance the Rapper and has evolved into a sort of hip-hop version of indie rock supergroup Broken Social Scene. Surf is democratic and decentralized with a mix of slow jams, instrumentals and horn blast fueled hip-pop. Imagine “Touch the Sky” era Kanye tracks but with way more optimism and way less ego and you’re in the ballpark. Chance the Rapper’s Coachella 2014 performance was a perfect primer for understanding what the hell The Social Experiment is going after. His 2013 mixtape Acid Rap is one of my favorite hip-hop albums/mixtapes of the past several years and I was expecting to see a fairly typical rap set. Chance had an unfavorable mid-afternoon set on the Coachella main stage but despite the oppressive heat and sunshine he sounded energetic and irrepressibly alive. Most rap concerts I’ve attended involve an MC on a mostly barren stage accompanied by a DJ on a laptop or turntables awkwardly posted up somewhere in the back. I’ve seen this work well but it usually requires a supernatural level of talent or skill to make a dude rapping on an otherwise empty stage seem impressive. Luckily, Chance the Rapper is a supernaturally talented showman and he had this incredible live band (which I would later find out is The Social Experiment). He was clearly the all-smiling, all-dancing leader of the band but a Chance the Rapper live set is really a Social Experiment live set. The full experience of their sound and their message took center stage above any individual member of the band. It was dynamically fresh and cheerful, and easily one of the best performances I saw all weekend. The opening song is not exactly a rap song though it borrows from the parlance of hip-hop production. Its about as joyfully reverent as an atmospheric slow-jam can be. Chance sings on the track but his voice is no more prominent than any other instrument on the song. Trumpets take center stage on the albums second track “Slip Slide”, the cheery anthem of self reliance featuring Busta Rhymes and B.o.B. “Slip Slide” is a top shelf jam by any measure and might end up being my favorite summer-party track of 2015. Chance appears only in the songs outro but it sets a precedent that his voice will be a consistent fixture though not the focus of Surf. Top billed trumpeteer Donnie Trumpet deserves a lot of credit for being able to make a formless and abstract instrumental trumpet track sound suddenly and overwhelmingly beautiful. While his performance is great on the complimentary instrumental tracks “Nothing Came to Me” and “Something Came to Me”, his mastery of horns shines brightest when pumping surplus energy into upbeat songs like “Slip Slide” and “Just Wait”. Surf wouldn’t work without his contributions but it never seems to be overly focused on the trumpet work. The rap artists featured on the album are unfortunately a bit uneven. Many of the more recognizable names like Big Sean and B.o.B. contribute to the collaborative premise of The Social Experiment but seem to miss the target when it comes to being on message. I suppose it is a lot to ask of a solo-artist rapper to suspend their self-hype in order to blend into a group project dedicated to altruistically celebrating optimism and collaboration. Surf slows down a bit towards the end but perks up right at the end as the opening piano jangling of “Sunday Candy” starts. Chance the Rapper has openly talked about his desire for full-scale mainstream pop stardom and “Sunday Candy” is the kind of song that might just get him there. It’s as warm and playful as any song I’ve ever heard and it builds to a triumphant chorus that compels the listener to throw two hands to the sky and sing along while smiling ear to ear. It’s a moment of undiluted euphoria and catharsis, and when it happens I feel like a real live hot blooded human being and for that I’d like to sincerely thank the whole Social Experiment crew. Surf comes from the purest of places. The Social Experiment isn’t just about making music thats fun; they empower their audience by promoting the most idyllic idealism. 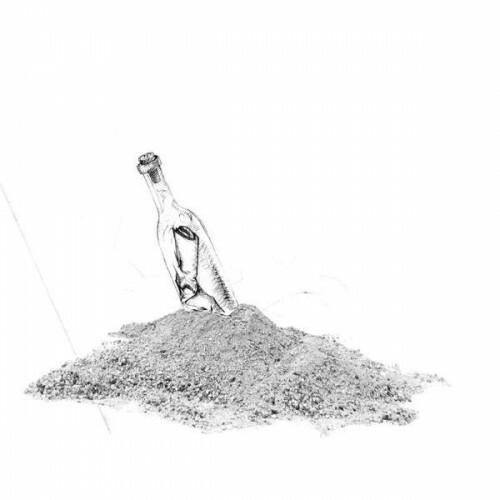 The Social Experiment is an experiment and if you listen to Surf, you’re the test subject. Every good experiment should have a good research question and Surf asks the following: can a few dudes with a few songs make people see themselves in a more favorable light? Can noise move us to live and love with more creativity, confidence, humility and trust? Can music compel us to shake off our cynical armor and permeate us with positivity? They are so desperate for the answers, they are willing to give their music away just to find out. The Social Experiment is doing something courageous and perhaps uncool but as an unrelenting American optimist, I can’t help but embrace their mission and the occasionally flawed execution of that mission. The experiment is on-going but Surf is righteous bliss.